According to a report by Syrian TV on Sunday, several buses, which were supposed to evacuate ill and injured people from the besieged Shiite-majority towns of Foua and Kefraya were attacked and some of them burned, but some of them have reportedly managed to arrive at the villages. 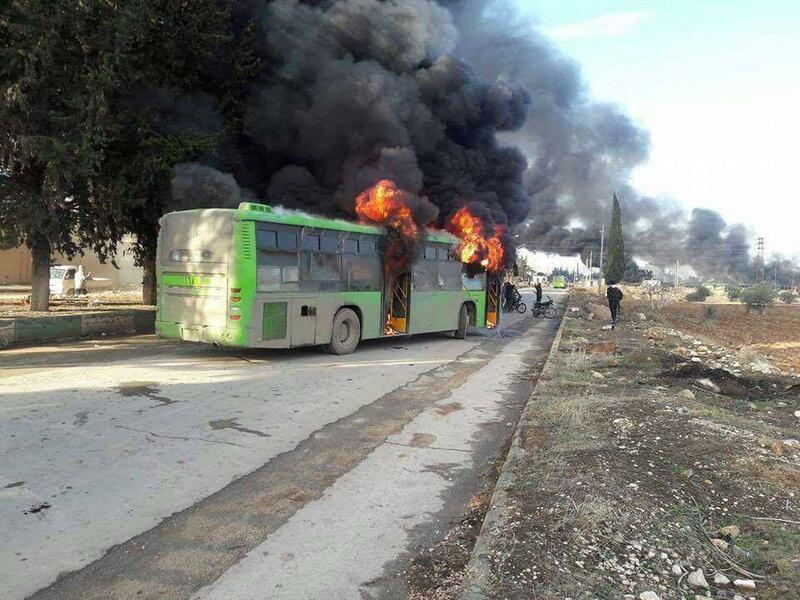 Syrian state media, which broadcast footage of burning green buses, said “armed terrorists” attacked five buses and burned and destroyed them. Lebanon’s al-Manar television said later on Sunday that some buses and Red Crescent vehicles had reached the entrance to the besieged Syrian villages of Foua and Kefraya, which are besieged by foreign-backed militants. The Syrian army is demanding people to be allowed to leave the two villages in exchange for allowing evacuations of rebels and terrorists from east Aleppo, Reuters reported.